There are a number of challenges you face if you’re interested in a Magic Leap One headset, not the least of which is trying it. 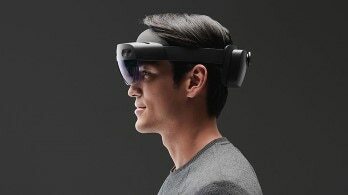 Are you really going to drop $2,295 sight unseen, even if you’re an eager augmented reality developer? You won’t have to in the near future, provided you live in the right city. Magic Leap partner AT&T has announced that it will carry the One Creator Edition in a few of its stores, giving you a chance to try the hyped-up wearable yourself. It’ll start with the company’s flagship Boston store (on Boylston) April 1st, followed by Chicago (on Michigan Avenue) April 3rd and San Francisco (1 Powell) April 6th. Online orders will be available April 5th. 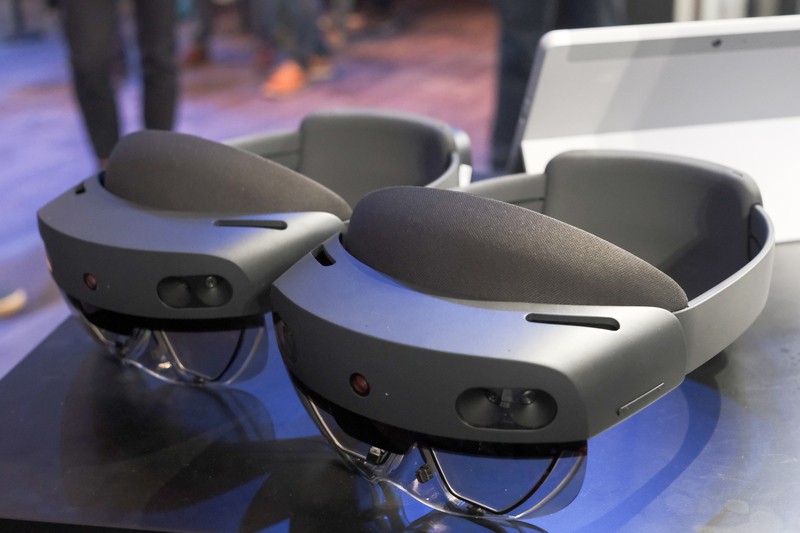 The headset will initially use a WiFi connection, but you will have something to try at the store beyond the usual tech demos. AT&T is planning a Game of Thrones experience (Dead Must Die) that has you donning Magic Leap One to take on a White Walker. It’s a shameless promotion for AT&T’s WarnerMedia, but it could give you a feel for what’s possible. Whether or not you should buy one is a difficult question. 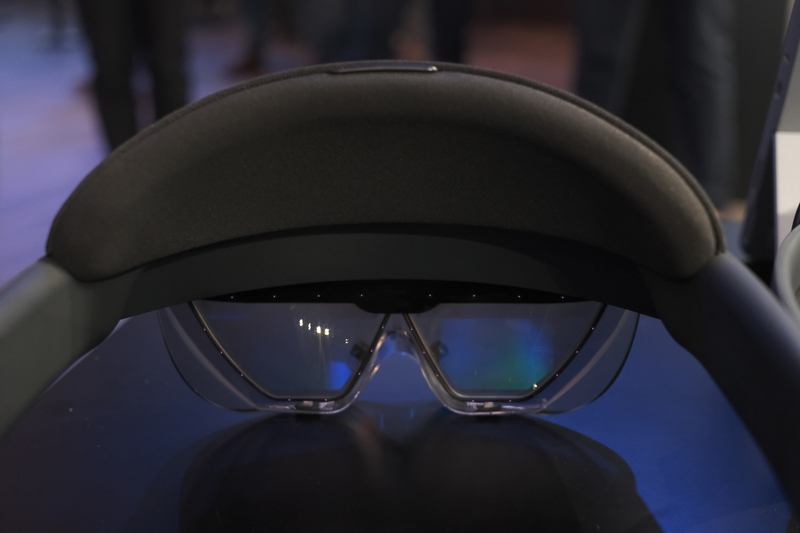 Magic Leap has significantly expanded the One’s app catalog with everything from NBA basketball to Star Wars, but this is still a device for developers and well-heeled early adopters. It’s not meant as a mainstream headset, and you may want to hold off unless you’re completely sold on the concept. The NBA announced it was teaming up with the AR startup last year at Recode’s Code Media conference. NBA Commissioner Adam Silver said that partnering with Magic Leap would allow the NBA to make traditional sports more interactive (as Twitch has done for esports) and appeal to more younger viewers. But even older audiences have grown used to watching the game on television while browsing stats or Twitter reactions on their smartphones or laptops. An augmented reality app for the NBA will just condense the “second screen” viewing habits of most modern sports fans onto one platform — which could be an easy sell for many basketball fans, regardless of generation. A grungy live music bar off Austin’s 6th Street was the site of a stirring Shakespeare performance at South by Southwest on Sunday. “All the world’s a stage…” began the actor, perched on a leafy pedestal. He was about a foot tall and only visible through Magic Leap One headsets. “Tabletop theater” is what the the Royal Shakespeare Company has termed demos like this — miniature productions that you can apparently watch anywhere — and they are Magic Leap’s first collaborations with the theater world. “The Seven Ages of Man” first appeared at Sundance Film Festival last year. The three-minute experience shows a volumetrically captured actor reciting the famous speech from “As You Like It.” As he describes the human passage through stages of life, a digital tree in the background blooms then slowly wastes away. In another demo, “The Grinning Man,” a theater stage about two meters wide appeared in front of the venue’s bar, neon-glow in the background. A five-minute song from the West End musical called “Laughter is the Best Medicine” was performed by nine singing, dancing tiny actors. Andy Serkis — the motion capture legend of Gollum fame — directed the demo through his production company The Imaginarium Studios. Wearing Magic Leap One, audience members stuck their faces right up to the video game-like characters, and maneuvered behind the virtual set for different angles, arms crossed. A man in Allbirds sneakers and a red chili pepper print shirt tried to grab at the stage. Magic Leap touted the idea that these experiences can immerse the audience better than a 2D screen, or allow the flexibility of watching from different angles. But the narrow field of view and small figures on a stage that’s meant to be viewed from the front anyway hardly make it a TV replacement. Instead, these demos were more compelling as indicators of Magic Leap’s intention to merge with traditional art forms. After years of hype and stealth, Magic Leap released a $2,295 headset last August. It has been creating a plethora of experiences since — involving Sigur Ros, Meow Wolf and Star Wars to name a few — in an effort to find the “killer app” that’ll make it a de rigeur platform. In these two experiments, they’ve taken cues from the world of theater, a form which has a few millennia on mixed reality. Lanning has ideas for what’s next. He’s interested in real-time tabletop theater, a West End production in your living room as it takes place on stage — similar to National Theatre Live, which already exists in cinemas. Audiences sitting in theaters could also don Magic Leap headsets, allowing organic and synthetic production elements to merge. In “A Midsummer Night’s Dream,” Lanning says, a fairy could come out from the stage and fly in front of you. (He also warns, though, that “we don’t want to oversaturate the experience”). And Lanning wants to create photorealistic volumetrically captured actors that the audience can also interact with. Sarah Ellis, the Royal Shakespeare Company’s director of digital development, said their goal was to expand the toolkit for artists. “All we’re doing is going ahead and creating more choice,” she said. Tools like Magic Leap point to a bigger question. As Lanning puts it: “What is the natural, native form of storytelling that’s going to emerge?” Early experiments in any new media technology are going to start by replicating old narrative forms — like remaking the same musical, but smaller and holographic. More interesting is how technology can create an altogether new grammar of theater. That shift likely won’t be made solely by mixed reality. The future of theater doesn’t hinge on one technology but the confluence of them. Lanning cites the UK’s Secret Cinema as an organization that creates immersive theatrical experiences that start online, where you’re assigned a character to play for the evening, before you’re even physically present at the show. The value of “The Grinning Man,” then, is not just how an entire production has been photocopied for Magic Leap today, but what could be done with that motion capture footage in the future. “We’ve bottled that performance,” Lanning says, and it could be used in anything from a video-game to a VR experience when the right idea comes around. It’s 2019, so the idea of bringing the news, which is usually not good, into your living room sounds a bit ominous. That’s not stopping CNN. The 24-hour-news network now has a mixed-reality app for the Magic Leap One that allows viewers to watch and interact with programs via augmented reality. The app allows you to create “[virtual] screens of any size, anywhere” to view Live CNN, CNN International, Headline News, on-demand shows and digital exclusives. Want to watch breaking news on your cabinets? Project Congressional hearings on your ceiling? Go for it! You’ll also be able to “interact” with exclusive reporting, sidebar data and live feeds, though they didn’t give much in the way of details on how that will work. This isn’t CNN’s first foray into mixed-reality news. The network debuted a VR app for Oculus Rift this time last year. Competitors are working with the technology, too. NBC has partnered with Google on VR “experiences” and dabbled in Olympic coverage, and Fox Sports VR lets you turn your living room into a stadium suite, sort of. Neither CNN nor Magic Leap provided much detail on how this new app works, but it’s available now if you want to go find out for yourself.